Djvu is a virus, that will encipher vulnerable data like images, audios, texts, documents (you may find more detailed list of vulnerable to this ransomware files below) and blackmail a victim. Cyber crooks will offer their “decryption” service in exchange for ransom in BitCoins. If you have this crypto-virus on your computer, use this guide to remove Djvu ransomware and decrypt .djvu files. 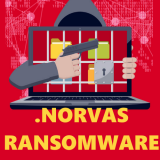 FORMA – is a ransomware, that was detected in December, 2018. Regarding the virus mechanic, FORMA will encrypt all the important files and force a user to pay big sum of money in order to decrypt these files. Noticeable fact – the virus is mostly targeting Polish users, judging by ransom text note, lock-screen and names of related to ransomware files. If your computer is infected with FORMA ransomware, we should warn you that there is no guarantee that cyber criminals will decrypt your files after the payment. Still, you may use this instruction to remove FORMA Ransomware and restore .locked files. Mercury is a new crypto-virus, that will encipher vulnerable data like images, audios, texts, documents (you may find more detailed list of vulnerable to this ransomware files below) and blackmail a victim. Cyber crooks will offer their decryption tool in exchange for a big sum of money in BitCoins. If you have this crypto-virus on your computer, use this guide to remove Mercury ransomware and restore .mercury files without paying anything. Crypted034 ransomware is a new crypto-virus, that was spotted in the beginning of December, 2018. 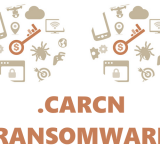 Crypted034 ransomware is yet another version of big and spreading ransomware family Scarab. 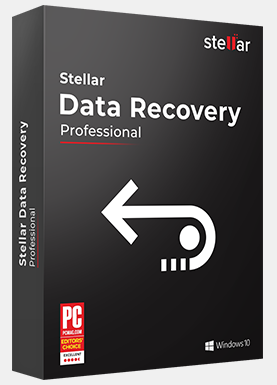 It will encrypt victim’s files and the files must be decrypted to be accessed. Here is an encipher workflow: first, it read the original data; then the virus removes it; then creates the encoded files, adding extension .crypted034; finally the ransomware writes the encoded files. If you got your PC infected with this virus, use this guide to remove Crypted034 ransomware and decrypt .crypted034 files. Santa is a new ransomware, that was developed from an older ransomware virus named Dharma, which is actively spreading the infection at this time. It will encrypt all sensitive files (videos, photos, documents) and ask for ransom in order to recover them. The whole point of ransomware viruses is to get money from a victim. In case your computer is infected with this virus, do not worry, in this guide you may find out how to remove Santa ransomware and decrypt .santa files. Pumas – is a virus, that is able to lock all the personal and important for any user files. It will sneak into victim’s system, start the encoding procedure, then ask for big sum of money as a ransom. Once the payment is done, cyber crooks supposed to do their part of the deal, however there is no guarantee that they would help. The virus itself can be distributed by hacking through an unprotected RDP configuration, email spam and malicious attachments, fraudulent downloads, exploits, web injections, fake updates, repackaged and infected installers. Use this guide to remove Pumas ransomware and decrypt .locked files without paying anything. GANDCRAB – is one of the biggest ransomware threats, that is starting a new wave of a ransomware infections all around the internet with the help of its new version – GANDCRAB 5.0.9. Encryption is making all the files on your computer unacceptable and unreadable. This kind of infection is very dangerous for any system, that’s why it is important to have a proper anti-virus on a PC. If your computer is infected with this virus, you can find out how to remove GANDCRAB 5.0.9 Ransomware and restore your files in this article.